New BlackBerry CEO John Chen has impressed Wall Street with an optimistic but realistic tone and a back-to-basics approach. BlackBerry's new CEO just might have the golden touch. John Chen is the latest person to attempt a BlackBerry turnaround, and so far, investors like his approach: Shares are up nearly 31% since the day Chen took over in November. The stock is up more than 15% so far in 2014, making BlackBerry (BBRY) the top performer in CNNMoney's new Tech 30 index. BlackBerry has been struggling for years, but Chen is no stranger to uphill battles. As CEO of the once-struggling software maker Sybase, he turned the company around and sold it to SAP (SAP) in 2010. Chen's status at BlackBerry has been a bit unclear: BlackBerry dropped the word "interim" from Chen's title in the company's third-quarter earnings release last month. But few picked up on that subtle move at the time. And at the Consumer Electronics Show (CES) in Las Vegas this week, Chen said the company had suspended its CEO search indefinitely. 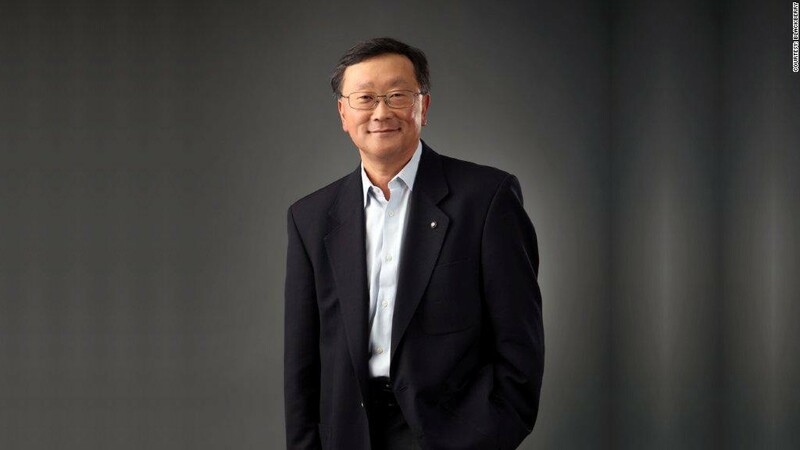 So it seems Chen has become the permanent leader of BlackBerry, albeit with little fanfare. The new chief has so far struck an optimistic but realistic tone, coupled with a back-to-basics approach. During a speech at CES on Tuesday, Chen laid out his vision for BlackBerry's future: a renewed focus on the company's bread-and-butter enterprise customers, along with software and services. He also briefly discussed plans for another QWERTY keyboard device. 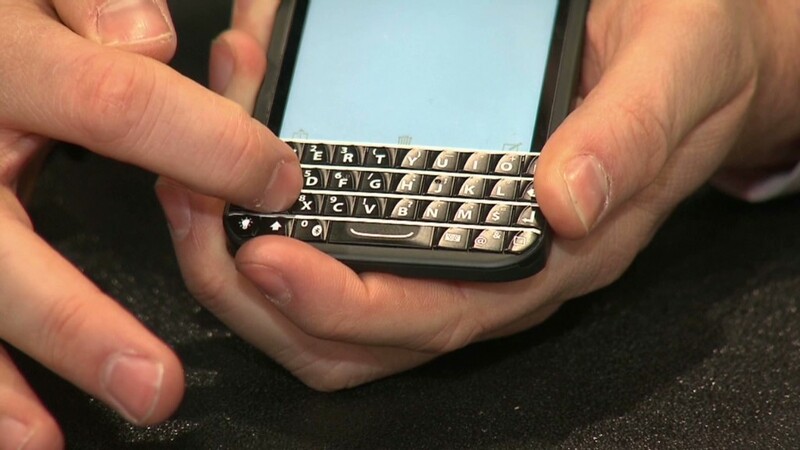 It's an approach analysts have long suggested for BlackBerry, which flopped in its attempts to capture the consumer market back from Apple (AAPL), Google (GOOG), Samsung and others with touchscreen phones that were too late to the market. Even as Chen focuses on the potential bright spots for BlackBerry, he has admitted that a turnaround won't be easy -- and the market seems to like his candor. When the company reported a huge third-quarter loss last month, shares initially fell 7% in premarket trading. But the stock reversed course and turned higher once Chen hopped on the post-earnings conference call. "The market has spoken and we have listened," Chen said on that call. He assured analysts that he knows parts of the BlackBerry turnaround could take quite awhile, but he also insisted the company has a "very solid base" of engineering talent despite the bad publicity. He also announced a new five-year partnership with Foxconn, the world's largest manufacturer of electronic parts. Foxconn will develop and manufacture certain BlackBerry devices and manage that inventory itself -- while BlackBerry's internal design teams will focus on software and high-end phones. Chen insisted that BlackBerry isn't "dwelling on the past" -- but he'll still have to overcome that rough history if he wants to turn BlackBerry around. Still, a turnaround artist like Chen may have a better chance than anyone to make it happen.